This gets you on the “next in line” list just behind the $1,000 group. We'll also add a special bonus of $125 to your $500, for a total of $625 to apply to the purchase of your Elio. 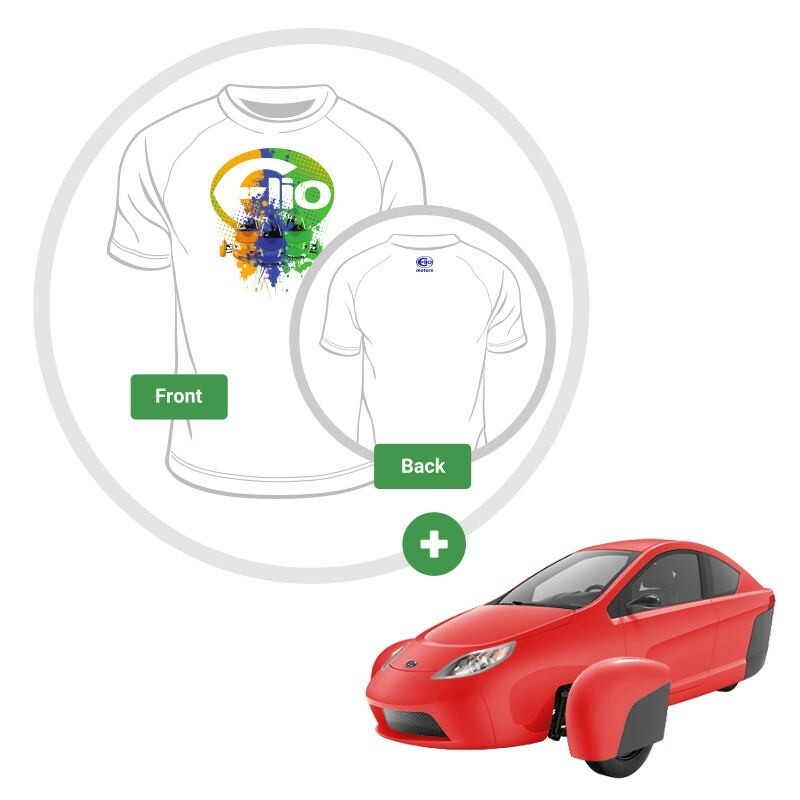 Plus, you will receive a limited edition Elio T-Shirt and bumper sticker. Upgradable reservation.